GO, BABY, GO! 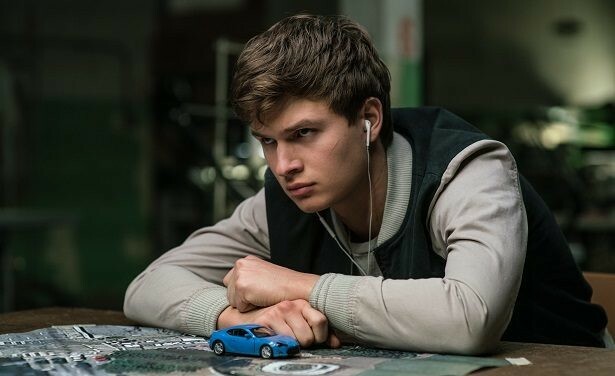 In Baby Driver, a young getaway driver (Ansel Elgort) is forced to work for a crime boss (Kevin Spacey). Writer-director Edgar Wright (Shaun of the Dead, Hot Fuzz, Scott Pilgrim vs. the World) helms this action crime film about a young, gifted driver (Ansel Elgort) who's coerced into driving for Doc (Kevin Spacey), a criminal mastermind, eventually leading to a doomed heist that will take all Baby's skills to escape from. Imagine The Fast and Furious meets Footloose meets Wild at Heart and you'll have an idea of the vibe of this engagingly fun crime romp. Baby suffers from tinnitus—a constant ringing in his ears brought on by a childhood car accident. To distract from the noise, he's constantly got music playing through ear buds, choosing songs that are perfect for his task, whether that's driving a getaway car from a heist or bopping through a neighborhood to grab coffee for the criminals Doc has gathered for the job.